Big Money index racing is the Big Story as the Midwest’s biggest motorcycle drag racing series—NHDRO—unloads June 8-10 at one of its biggest tracks for the Kenneth R. Schwartz attorney at law NHDRO Motorcycle Madness Nationals at Gateway Motorsports Park near St. Louis. For this event only, NHDRO is combining two of its most popular index classes—M2.Shocks Crazy 8s 8.88 index and Millennium Trailers Super Comp 8.90—into one, splitting the difference with an 8.89 and paying $5000 to win Crazy Comp. That’s five large to the steadiest, most deadly index racer as a rowdy mix of wheelie bar and no-bar bikes face off on the quarter mile. 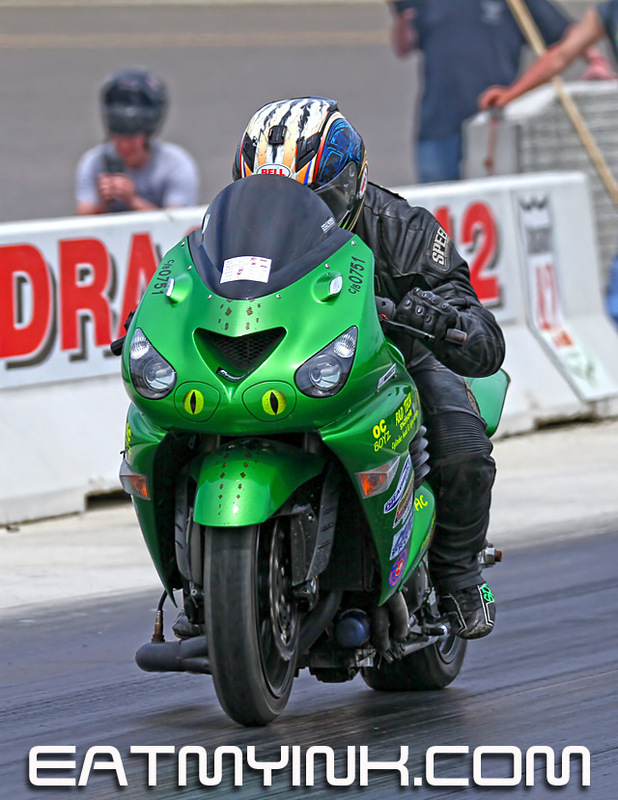 And two riders will run their first Pro Street final when the May race is concluded on Friday night—Quicktime Motorsports’ Brad Christian and Luis Hornedo on Ronnie Mitchell’s “Apollonia” in an all-out, 700 horsepower, turbocharged Suzuki Hayabusa battle. “I can’t wait!” said Hornedo. Pro Open features big-tire, wheelie bar monsters running out the back door on the full quarter mile. Monsters like the Kawasaki Funnybike of Ron Maddox, the Hayabusa of Chris Cutsinger, and the nitro Top Fuel Harley of Dennis “The Nitro Menace” Fisher. The weekend kicks off Friday night at 8:00 pm sharp with the May eliminations and a round of qualifying.